I grew up on science fiction and fantasy, loving both genres equally, however, when I discovered Dungeons and Dragons back in 1981, my greatest love became fantasy. Forced into game-mastering due to the racism of the white students who refused to teach Black students to play, or treated us like “orcs” when they did teach us, my storytelling grew from the simple stories about Shaft, Billie Jack, Luke Cage and the Falcon I would tell to entertain my friends and family, to the building of worlds inhabited by complex characters. Fantasy worlds filled with intrigue, adventure, horror and humor. Wanting to tell better Fantasy stories and to create a richer world for the players in my Dungeons and Dragons campaign, I became a voracious reader of fantasy novels, reveling in the richly-textured worlds of J.R.R. Tolkien, C.S. Lewis and Robert E. Howard. After two years of enthusiastic play, however, I – and my friends, it turned out – was tired of playing such a Eurocentric game. We had grown tired of lands that were obvious representations of England, Germany and Russia. These settings were not offering us anything new; anything we had not seen in slightly different forms over and over again. To make the game interesting, many of my friends would create a character that was a ninja or samurai – because they were people of color, which made them unique and because they were ninjas and samurai, which made them cool. 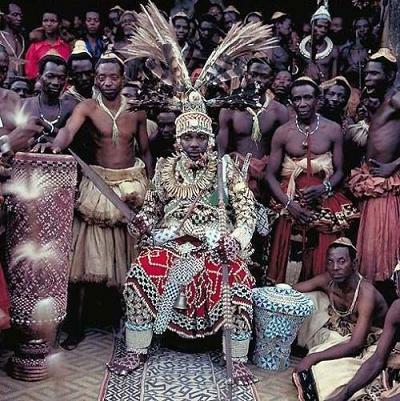 When I decided to introduce a Mandinka king who had come to the Land of Nod – we called all Eurocentric settings that because, for us, they had become boring and powerful sleep-inducers – to hunt the vampires who murdered his family, however, our interest in the game resurged. The players in my group begged to have their characters accompany the king back to Mali once they helped kill the vampire hordes infesting the Land of Nod. I agreed and everyone went into a frenzy – they, to find armor, clothing, weapons and spells appropriate to the terrain; I, to research ancient Mali and African folklore, creature lore and social, military and ecological systems and to create a world worthy of my players and of Africa. For my friends who do not write fiction, you probably think that writers of fantasy rely entirely on “making it up”, but you would be wrong. For the most part, fantasy worlds – just like worlds in hard-boiled crime, horror and romance – are based on something. Very often, fantasy worlds are an altered or hybridized version of a pre-modern, non-technological human society, which means, to create a world that readers will accept as real, you gotta research, research, research! 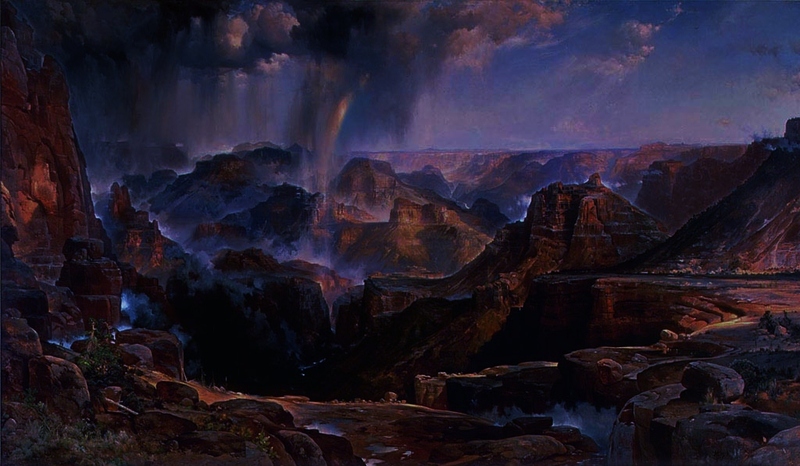 The best places to find new ideas for fantasy world-building are in reading about history, culture and “real-world” systems of belief. If an author’s only research is other fantasy novels, he or she will wind up borrowing Eurocentric milieus from the rest of the genre – and give us even more cliché from the Land of Nod. We need more worlds like Charles Saunders’ Nyumbani – “home” in Swahili – a world based on the traditions, legends and lands of Africa. Saunders, the founder and father of the fantasy subgenre Sword and Soul, has created a world that is fantastic, yet very real. Nyumbani is home to Saunders’ Imaro, one of the greatest and most interesting heroes in the history of fantasy fiction. I invite you to join us on the sandy shores, perilous mountains and mysterious savannahs of our world. I invite you to ride beneath the dunes of Targa in the bowels of the oga’koi-koi or to do battle with the Ndoko in the Great Circle. I invite you to share in our tales of triumph; of tragedy; of terror and tenacity. I invite you to free yourself from the Land of Nod…and flee to Ki-Khanga! Help us change the game by supporting our game! 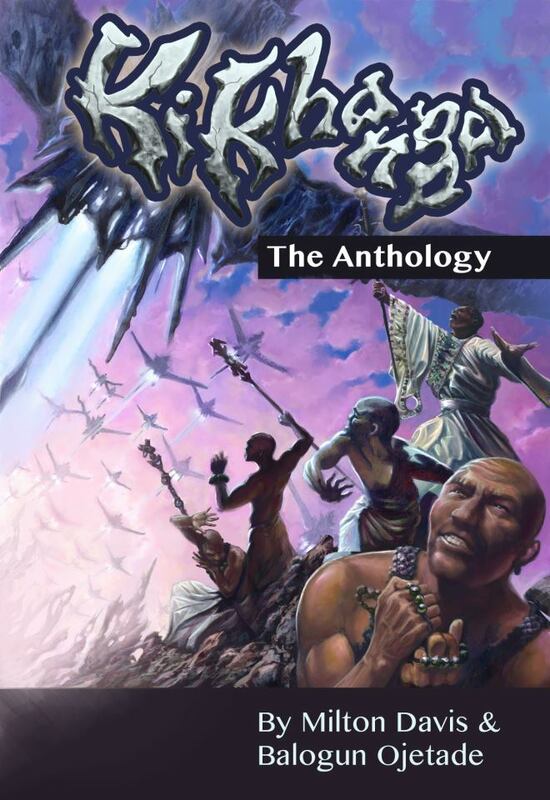 All the profits from the anthology will go to the development of Ki-Khanga: The Role-Playing Game. We’re not asking you to Kickstart or Indiegogo, just purchase a copy of this exciting collection of stories by Balogun Ojetade and Milton J. Davis; with an amazing cover by world-renowned fantasy and science fiction artist, Eugene Randolph Young and a powerful introduction by the Father and Founder of Sword & Soul, Charles R. Saunders! You get a great anthology now…and a great role-playing game later. It’s a win-win! The anthology is now available for Kindle and Nook. Print copies are coming soon. Posted by Balogun on January 19, 2013 in Adventure, Dark Fantasy, Fantasy, Horror, Role Playing Games, Science Fiction, Speculative Fiction, Supernatural, Thriller and tagged anthology, balogun, charles saunders, fantasy, ki-khanga, milton davis, sword and soul, worldbuilding. That is excellent!! I can’t wait to hear those stories! Looking forward to reading Ki-Khanga. 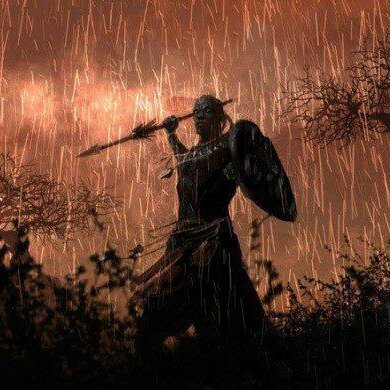 As I’ve recently finished the second book in Imaro’s saga, may I ask you to suggest a book (probably non-fiction) that introduces myths, legends and/or folk tales that inspire and inform, Nyumbani and Sword & Soul stories in general? 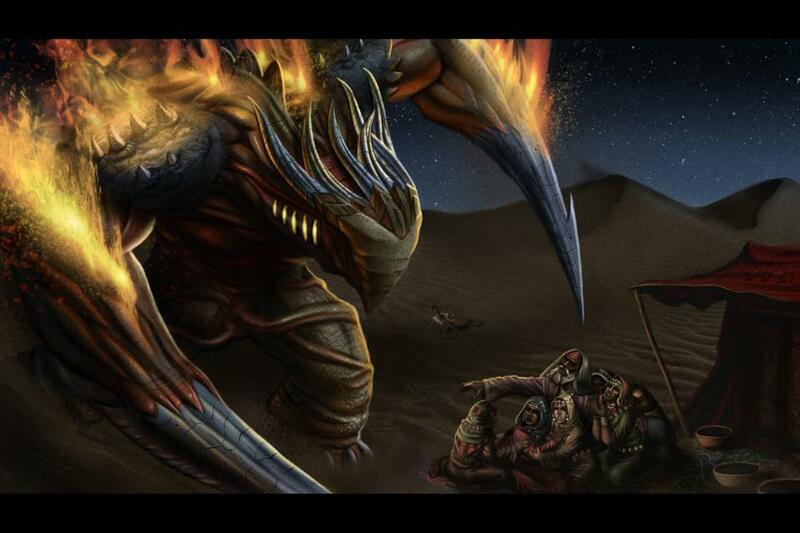 Will there be an appendix or chapter dedicated to this in the upcoming Ki-Khanga RPG? I would suggest Indaba, My Children. It is a book of African folklore, actually. An excellent read and excellent source material. There most certainly will be a suggested reading list in the RPG! Thank YOU, for your feedback, Periklis! Thank you! I’ll be getting a copy of “Indaba” soon. I’d happily buy the anthology on paper (haven’t found a good way to read e-books yet), and will try to get it reviewed at TFFReviews. But I’d also support (and help promote) a Kickstarter or similar if you decided to go for one after all… especially if it was a way to pre-order the game, say. Either way, good luck with it all. Excellent idea! Thanks, so much, Djibril, for your support! The paperback version is coming soon. Just downloaded my copy. Can’t wait to get started. Loved it. The highlights were “Simple Math” and “The Bene’s Daughter” As straight fantasy, “Fearless” is as good as anything I’ve read in sometime (and it’s got talking apes). Good luck with the game. I am glad you loved it and sooo grateful for your support. Thank you! I downloaded my copy a few days ago. I’m busy with some writing projects right now, but I can’t wait to dive into Ki Khanga. I’m very happy to have contributed to the game in a small way! I look forward to it. Thank you for taking this bold step. This is something our youth need, art forms in which we can truly identify with and not something that is the default standard in the diaspora.